Have you ever been on a massage table and feel like you are going to fall asleep or have fallen asleep? You know then how beneficial massage can be for relaxation and for stress reduction. You may also know that the night after receiving a massage treatment you generally sleep better than other nights. Many people experience insomnia at some point in time. Insomnia is defined as difficulty falling asleep and staying asleep. If you experience stress or anxiety this can increase your odds of experiencing insomnia. Relaxation massage can help with insomnia by decreasing stress levels in the body. Your massage therapist may also teach you diaphragmatic breathing techniques. Massage therapy can provide benefits with other underlying pain and stress responses, which can sometimes be caused by a specific conditions such as migraines, fibromyalgia, or cancer. If you experience insomnia, a chronic illness or are going through a difficult time caring for someone affected by cancer, we encourage you to consider massage therapy at our clinic. We currently have two excellent Registered Massage Therapists available and offer several types of massage including relaxation, deep tissue, and myofascial release. Call the office at 306-664-2150 to book your appointment today. We are excited to announce that Jordan R. Smith, RMT has joined our team here at Saskatoon Naturopathic Medicine. Jordan R. Smith has been a practicing member of MTAS in Saskatoon since graduating from the McKay Massage and Hydrotherapy Program in 2011. Throughout his career, he has worked alongside chiropractors, and continues to be referred by many general practitioners. 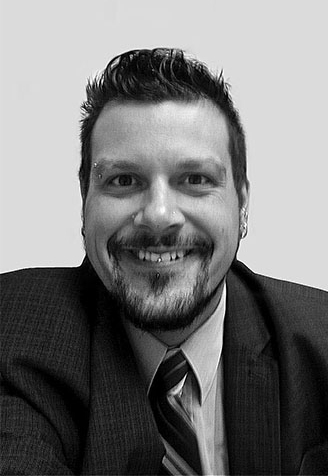 In 2014, Jordan was elected to the Board of Directors of MTAS (Massage Therapy Association of Saskatchewan). He continues to be quite active within the sub-committees to further the advancement and benefits of Massage Therapy and Public Knowledge. In 2013–2014, Jordan has had the privilege teaching Anatomy, Systemic Anatomy and Physiology to the undergraduates of the Massage and Hydrotherapy Program at McKay Career Training. To further his passion of healthcare research, Jordan continues to be heavily involved within the MTAS community by periodically facilitating intensive workshops in anatomy held at the U of S.
Today, Jordan focuses his work around the John F. Barnes' Myofascial Release Approach®. Myofascial Release Therapy (MFR) is a gentle hands-on treatment that gradually softens, lengthens, and realigns your fascia to promote healing and relieve pain. It Is an effective treatment for unexplained spinal, muscle and joint pain, and other complex conditions with multiple symptoms of pain and dysfunction. The fascial system is a 3D web of connective tissue that spreads throughout the body from head to toe. It is what holds us together and gives us shape. Trauma, poor posture and inflammation can cause restrictions in the fascial system that bind down like a straightjacket on pain sensitive structures like nerves, muscles, blood vessels, bones and organs. Myofascial Release Therapy (MFR) has uncovered the cause of most pain and dysfunction that is invisible to standard medical tests. Since having received training from John F. Barnes’ himself, Jordan has discovered that Myofascial Release has done more to support healing and improve movement ability in his clients than any other therapy technique. Jordan works throughout the year to continually advance his skill set to keep up with the ever evolving needs of patient care and to bring those skills into a the treatment room with each and everyone he sees. With this skill set, he focuses on the causes of your current symptoms, rather than the symptom itself to create a lasting effect and relief. In the words of John F Barnes, "Begin with the area of pain and look elsewhere for the cause." Jordan’s clients range from young infants to the elderly (all varying in conditions, including lower back pain, fibromyalgia, acute/chronic injuries, carpal tunnel, TMJ, headaches, whiplash, postural dysfunction, pelvic imbalances, neurological conditions, scars, sciatica and sport injuries). Jordan is very passionate about his patients’ health and places a strong emphasis on individualized education about the body and self-care recommendations such as stretching, strengthening and postural awareness. Jordan's office hours will be on Tuesdays and Thursday mornings. If you would like to book an appointment with him, please call the office at 306-664-2150.